Being a success involves more than just hitting a heavy bag. On Thursday, things got a bit out of hand and more importantly the Press covering the helter-skelter weigh-ins were not getting the necessary photos for their articles to promote the show. This whacky photo says it all. This would have been a good time for a strict disciplinarian like the Da Bear’s coach Mike Ditka to happen by and demand the boxers straighten up. Reminder: good reporting sells tickets. 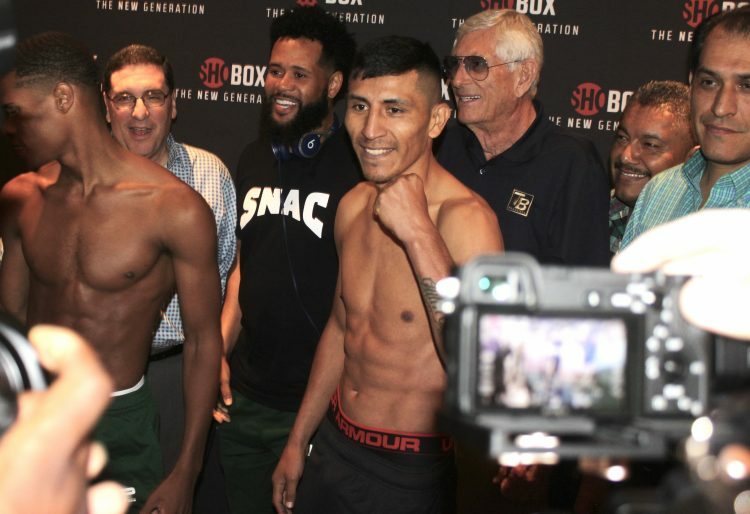 On Thursday, September 27, 2018, Devin Haney from Las Vegas, Nevada and Juan Carlos Burgos from Tijuana, B. C., Mexico made weight for their ShoBox: The New Generation 10-round main event which will headline a tripleheader live on SHOWTIME (10 p.m. ET/PT) from the Pechanga Resort & Casino in Temecula, Calif. Haney, the 19-year-old sensation with a 19-0 record with 13 KOs is already making his second appearance in 2018 on the prestigious ShoBox. 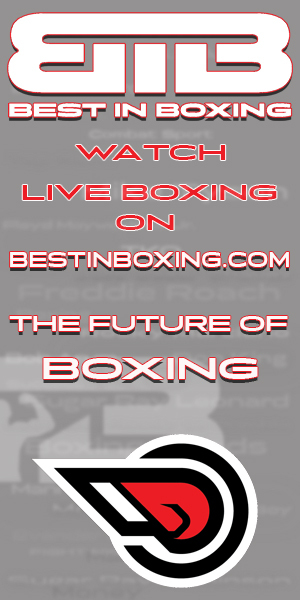 Plus, this will be his first real test against a polished, more experienced veteran like Burgos (33-2-2, 21 KOs). In their first meeting, most everyone thought Hamazaryan had won decisively, to include the ShowBox announcing team who called the scores favoring Mattice (76-75, 76-75) outrageous, while the third judge had Hamazaryan winning the fight 77-74. So, for those who like rooting for the underdog they’ll once again have Hamazaryan to root for. 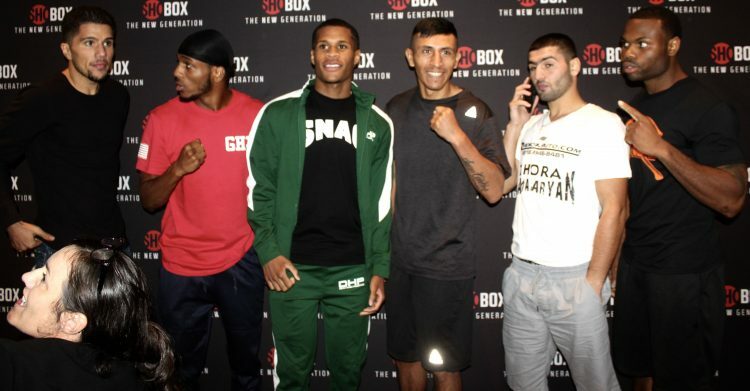 Tickets for the event, which is promoted by Devin Haney Promotions and Ringside Tickets Inc., are priced at $19 for General Admission, and then $29, $59, $79, $99, and $129 for Ringside. Tickets can be purchased by calling the Pechanga Casino Box Office at 1-888-810-8871 or online at www.ticketmaster.com. 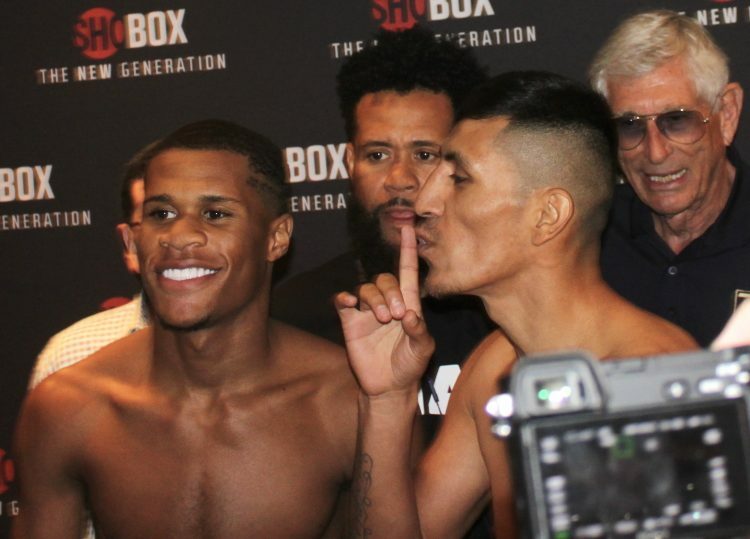 The signal is the same in every language, “¡Silencio por favor!” After Devin Haney (left) weighed in at 134 ¾ lbs. and his mouthpiece began voicing all these threats and unflattering opinions, Juan Carlos Burgos gave the clown a signal that someone needed to shut-up. 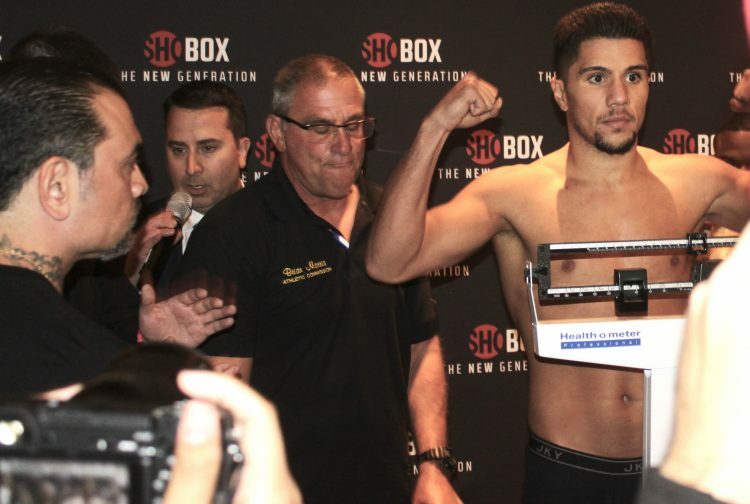 Thomas Mattice weighed in at 138 ½ lbs., four pounds heavier which would make him a super lightweight. 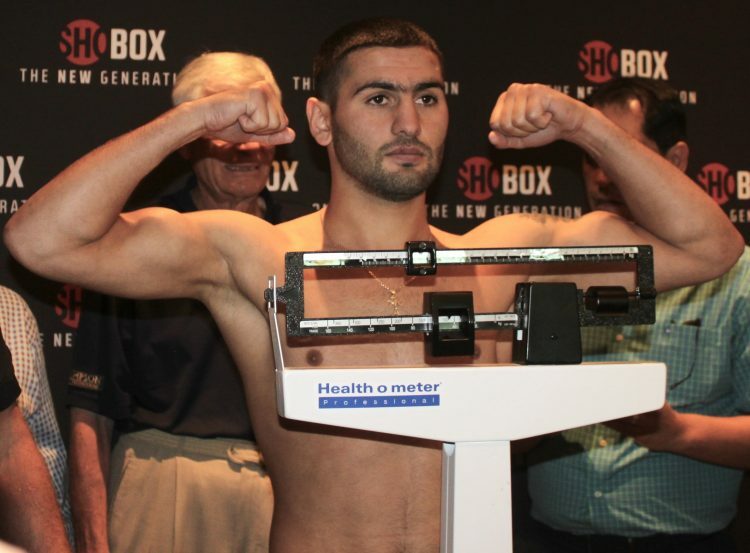 (photo above) Thirty-year-old, super welterweight, 5’9″ tall DeAndre Ware (12-0-2, 8 KOs) from Toledo, Ohio who is set to face 24-year-old, 6′ tall, Cem Kilic (11-0, 7 KOs) (photo below) from Sherman Oaks, Calif. by way of Frankfurt, Hessen, Germany. DeAndre Ware (r) from Toledo, Ohio and Cem Kilic (l) from Sherman Oaks, Calif. face off. 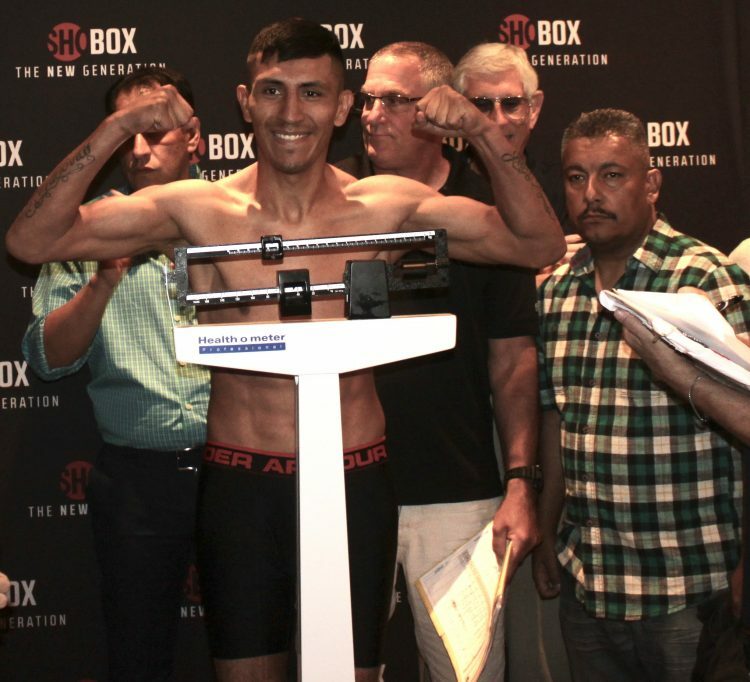 In Bout #2, it will be Ricardo Valdovinos (7-0, 5 KOs) from San Diego, Calif. (146.5 lbs.) 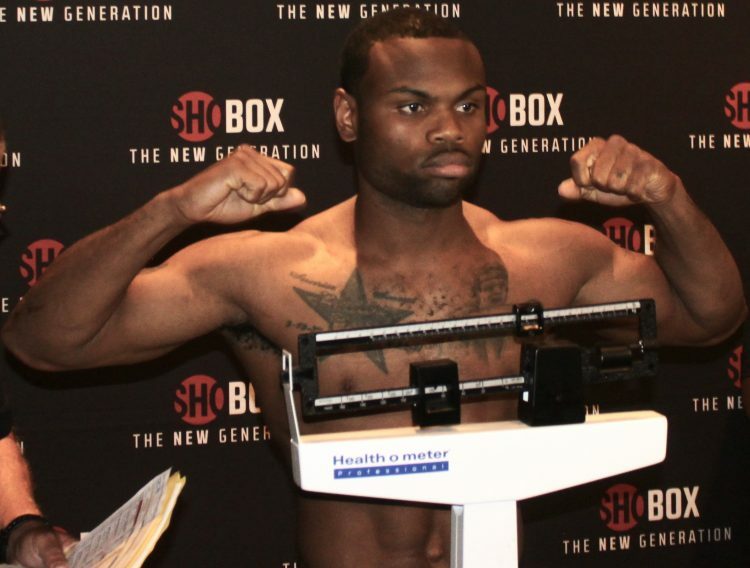 taking on Kevin Shacks (2-2-3, 2 KOs) from Lansing, Michigan. (Friday morning weigh-in). “I’m one of the best boxers in the game. I think most of my opponents know that, so when they get in the ring with me, that’s why they try to land their best shot as soon as the fight is on. They try, but they don’t touch me. When I fought Mason Menard, skeptics thought I was in over my head and that I didn’t stand a chance. And then I got in the ring and I won. I outclassed Menard. Then, they started saying that Menard was not at his best, that he didn’t bring his ‘A’ game. I’m getting the feeling that I’m not getting the recognition I deserve. I really work hard. I love this sport and I give my all. “This is my second fight at 135 lbs. I feel good. I feel that I have evolved as a boxer since my last fight. I feel strong. I think it has to do with experience, after time you just learn your lesson and move forward. 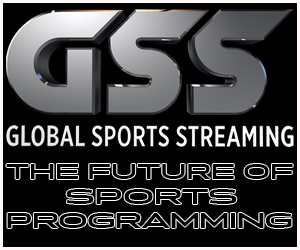 I am a very skilled boxer and after the Mikey Garcia fight, I learned a lot about myself mentally and physically. I want to get another title shot and I feel this fight is the right opportunity for me since in this fight I’m planning to show the world I’m an elite boxer. “I had been recovering from the flu but now I’m 100 percent physically and mentally. In the last match, I lost focus after the knockdown and never was able to get back on track. My cross-country travel from New Jersey to California was rough, and then we had some issues where I lost a few days because of things out of my control. 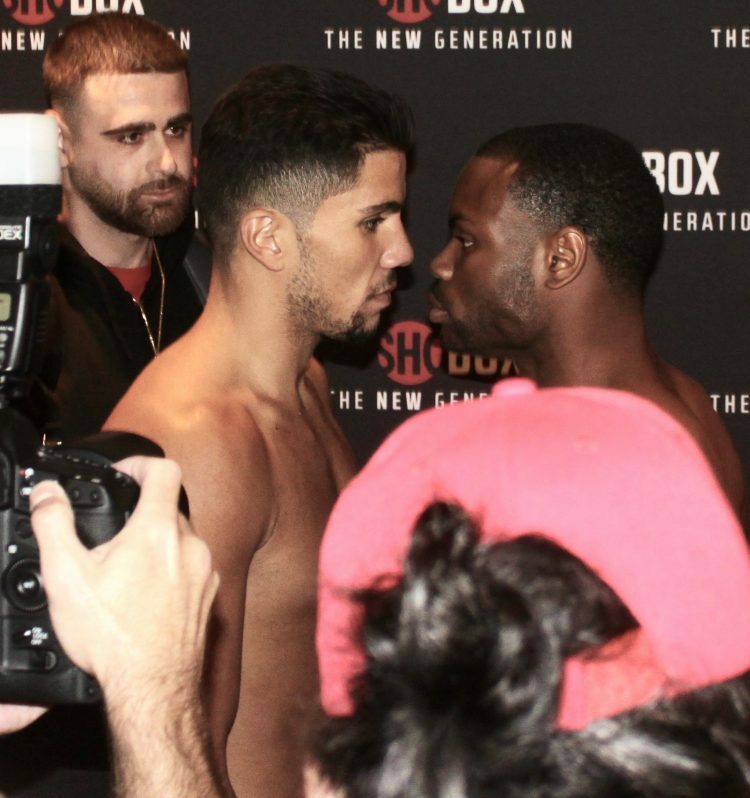 The decision was lambasted throughout the boxing world and by Hall of Fame announcer Steve Farhood who called it the worst decision ever on ShoBox and stated Hamazaryan will not let the judges decide his fate in the rematch.